The new PS4 Spider-Man game has garnered tons of rave reviews since it dropped on Friday. 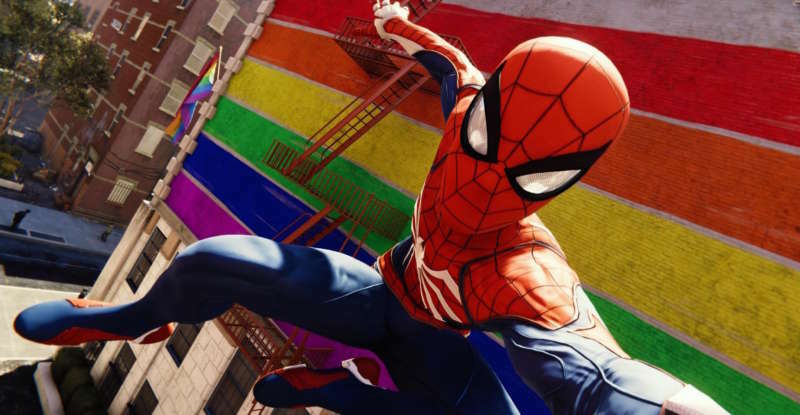 But in addition to stellar gameplay and breathtaking graphics, some fans are cheering its efforts toward inclusivity: In the game, released by Sony and Insomnia, Spidey passes quite a few Pride flags and rainbows as he whips through the streets of New York City. It’s not clear exactly how many LGBTQ banners are spread throughout the various levels, but quite a few are known to be on the game’s version of the Lower East Side. (Makes sense to us.) 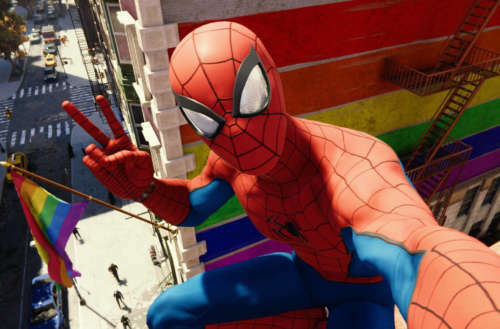 The Daily Dot reports one of the game’s achievements may rely on taking a selfie with a Pride flag or rainbow wall in photo mode. 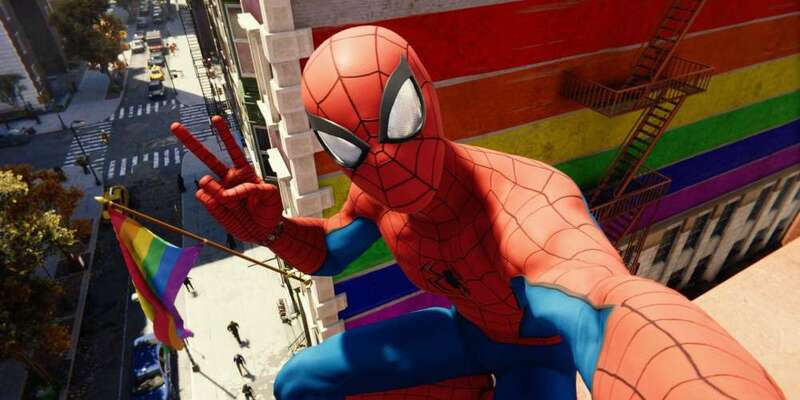 The PS4 Spider-Man game makes additional nods to New York’s legendary diversity, including non-playable characters wearing hijabs. In 2013, Andrew Garfield teased that Peter Parker should come out in an upcoming Spider-Man movie. Garfield, who has since passed the red-and-blue longjohns onto Tom Holland, even suggested a love interest: Michael B. Jordan. Of course, we know from a leaked Sony memo from 2015 that in the films Spider-Man must be white and straight. Ugh, get with it, Sony. Have you played the new PS4 Spider-Man game?